Ferrari’s weren’t always red. In fact, this yellow and black paint scheme with whitewalls and knock-off wire wheels is one of the most brilliant Ferrari road car liveries we’ve seen in a while. The 212 Inter is powered by a 150 horsepower 2.6-liter V-12. Bodies were supplied by different coachbuilders including Vignale and Touring. This is a one-off body by Ghia and it is fantastic. The proportions are perfect and that understated from end with dim headlights just begs you to buy it. The livery it sports is what it looked like on the Paris stand in 1952. Early Ferraris are some of the best looking Ferraris and this one has pretty impressive provenance. It is expected to bring between $1,600,000-$2,000,000. Click here for more info and here for more from this sale. This is a very stylish car, but we probably don’t need to tell you that. It looks like something you’d see parked at Villa d’Este (Good news: just read the lot description and this car has not been shown there – so here’s your very hard-to-get ticket to that show). The 212 Inter was one of Ferrari’s earliest road cars. 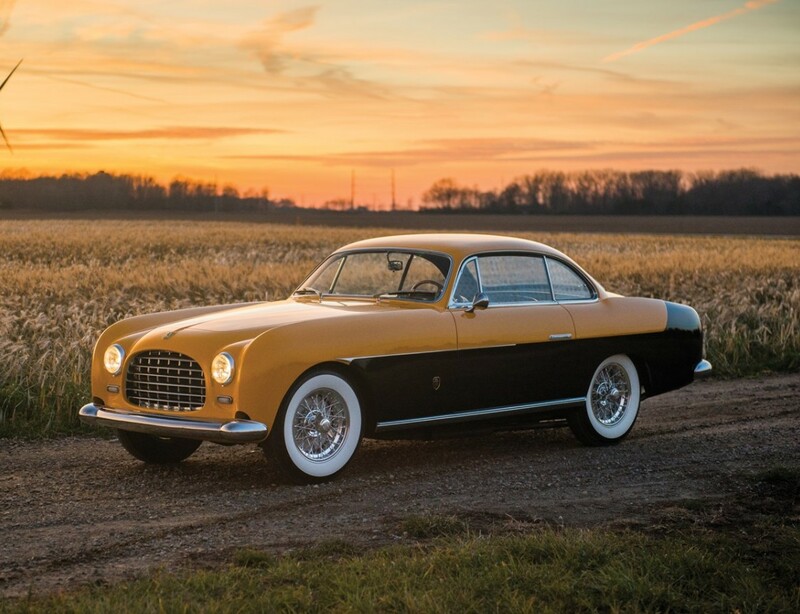 Only 82 were built between 1951 and 1952 and only six of those were Vignale Coupes. This was the first. The car is powered by a 2.6-liter Colombo V-12 making 170 horsepower. 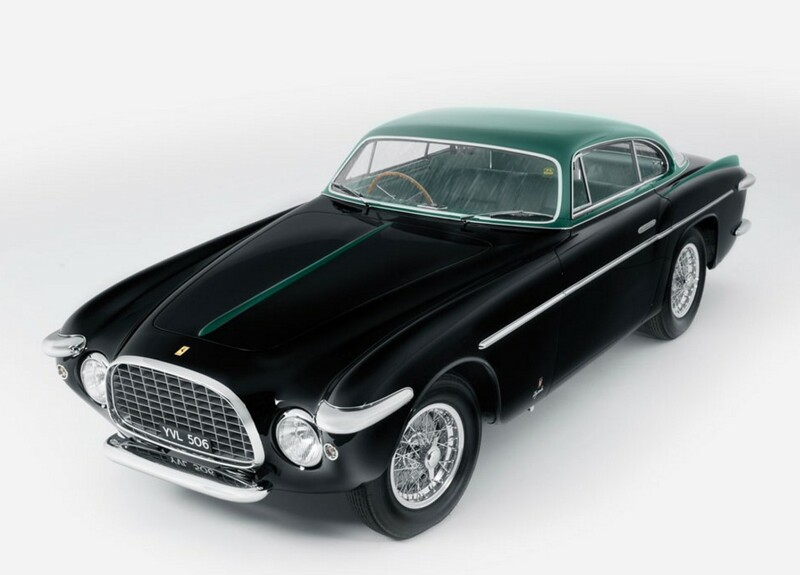 This car was shown by a Ferrari dealer at the 1954 San Remo Concours d’Elegance before being returned to Ferrari and shipped to Luigi Chinetti in the U.S. (who sold it to a guy in Milwaukee). He ruined the engine and swapped it out. Fast forward to 2009 when the car was owned by an Indiana man who had it restored – and the original engine was located and put back in the car. Now the car is just about perfect – including that beautiful color combination. It can now be yours. Click here for more info and here for more from RM. Another high-dollar Ferrari – but recently, aren’t they all? Even Ferrari 308s are commanding sums into the hundreds of thousands of dollars. Is there a Prancing Horse bubble? Well if there is, this is the kind of Ferrari to have your money in. 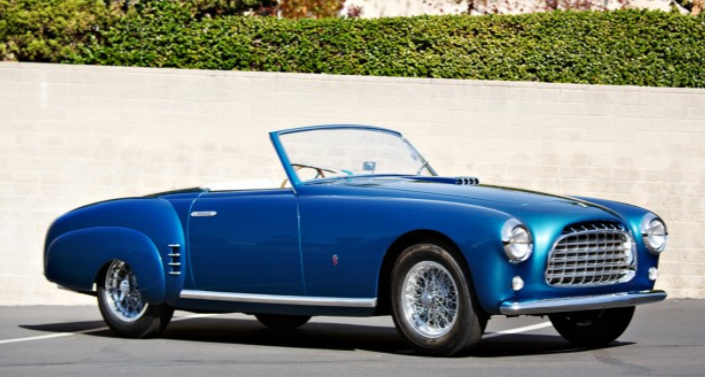 These early, Colombo V-12 cars are the roots of Ferrari. The 212 Inter (not to be confused with the race-bred 212 Export) was a grand touring car built between 1951 and 1952 only. The bodies were all by the leading Italian coachbuilders of the day, with this car sporting a distinctive Vignale drop-top body. The car looks sort of Aston Martin and Maserati-ish. The engine is a 2.6-liter V-12 making 170 horsepower. 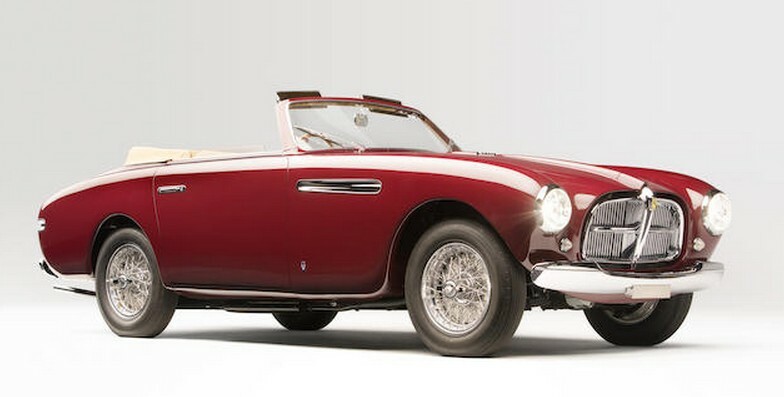 This was car #16 of 78 Inters built and one of only four with this Vignale coachwork. This car spent most of its life in Switzerland and has known ownership history from new. The restoration was completed last year and it’s being offered fresh off an award-winning debut at Pebble Beach in 2014. It should bring between $2,400,000-$2,800,000. Click here for more info and here for more from this sale.